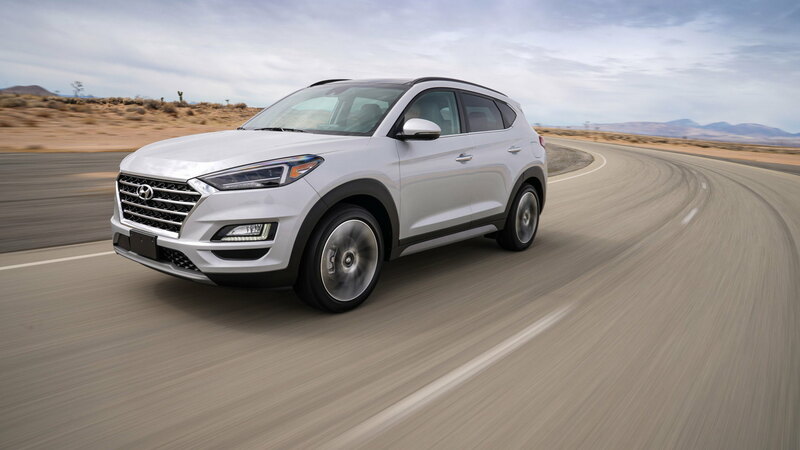 The Hyundai Tucson doesn't part ways with the current compact crossover SUV formula for the 2019 model year, but it gets a little sharper and adds a dash of active safety to sweeten the deal. 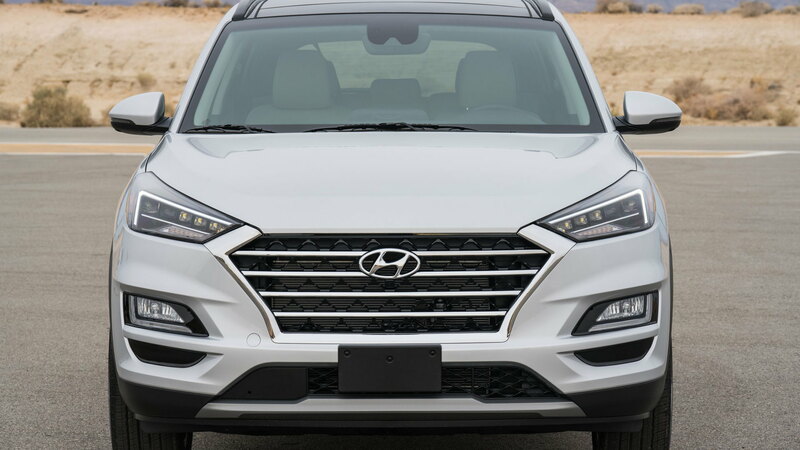 Hyundai debuted the updated Tucson on Wednesday at the 2018 New York auto show, where the brand's latest design motif is on full display. The front fascia sports an even more trapezoidal grille with sharper creases and new headlights. At the rear, a new set of taillights and minor revisions echo the overall theme. It's all very Kona inspired, but nothing is too dramatic. The dashboard also takes some cues from the smaller Kona with a lower profile and a 7.0-inch "floating" touchscreen that supports Apple CarPlay and Android Auto as standard. The usual power features and Bluetooth are also standard, but buyers will have to pony up for features like wireless charging and automatic headlights. Horizontal lines take over the cockpit, and gone is the shield look from the previous model, which is not a bad thing. 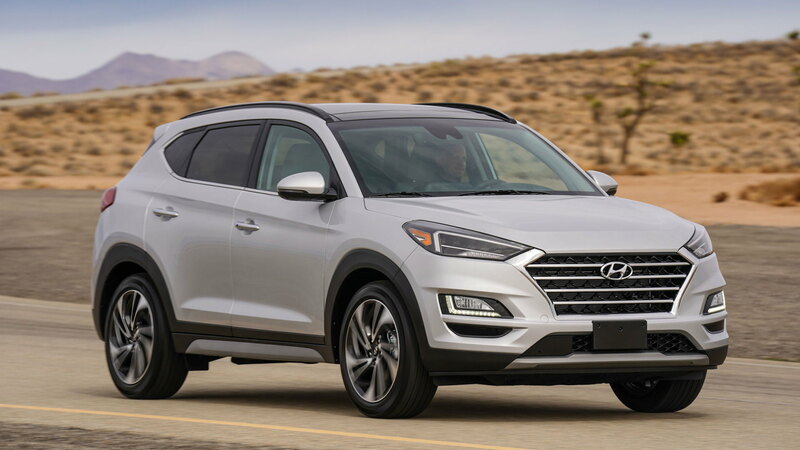 Buyers looking for turbocharged power will no longer find it in the Tucson. The base engine remains a 2.0-liter inline-4 with 164 horsepower paired with a 6-speed automatic, but now a 2.4-liter inline-4 replaces the previous model's turbo-4. The 2.4-liter inline-4 provides a modest power increase at 181 hp, and a 6-speed automatic is still on hand for shifting duty. All-wheel drive is optional. 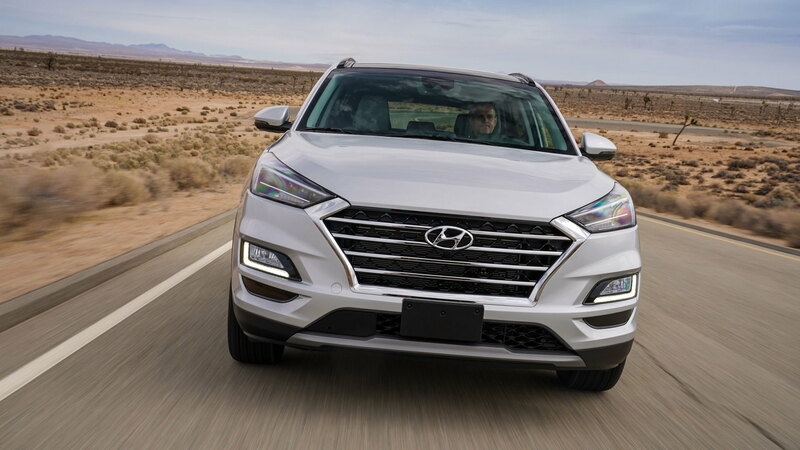 The 2019 Tucson keeps safety a priority with standard forward-collision warning and active lane control. For those looking for even more added safety, a surround-view camera system and adaptive cruise control are optional as well. 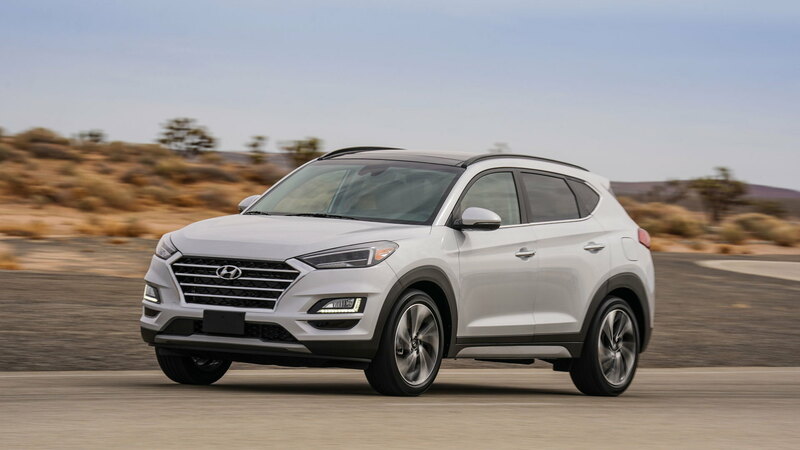 Hyundai did not provide pricing at the Tucson's debut, but it will go on sale later this year in Value and SE trims with the 2.0-liter inline-4 and SEL, Sport, and Limited guise with the 2.4-liter inline-4 engine. For more from New York, check out our dedicated hub.